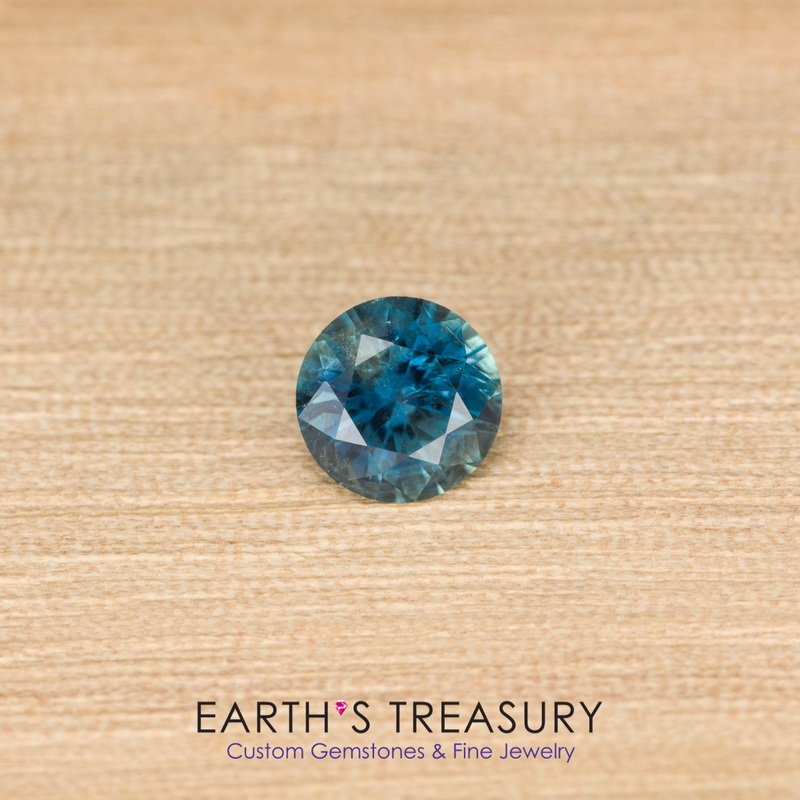 A lovely teal blue unheated Montana sapphire in a classic diamond round brilliant design, 0.81 carats. 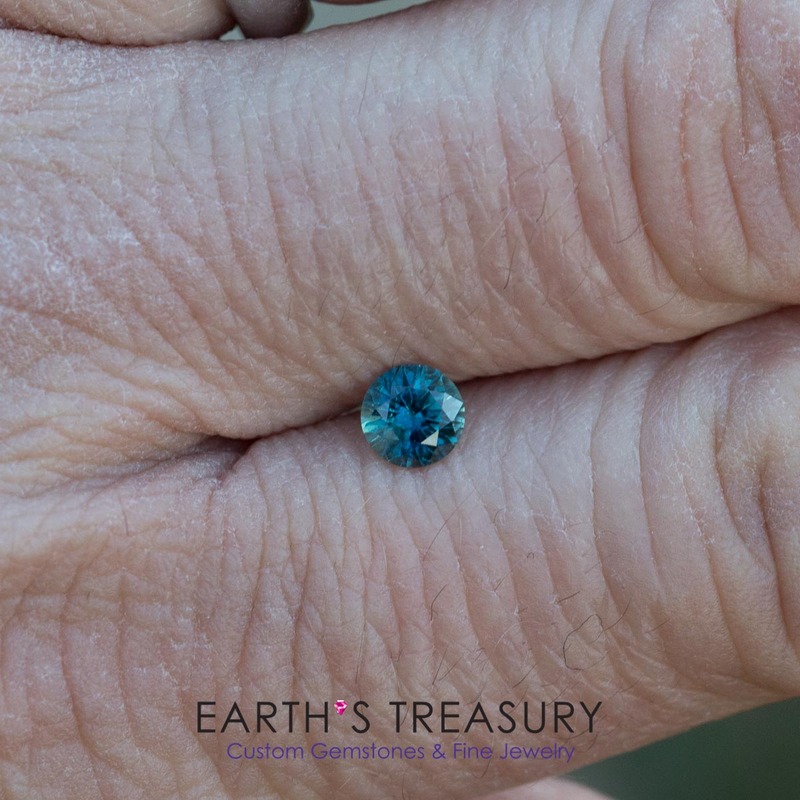 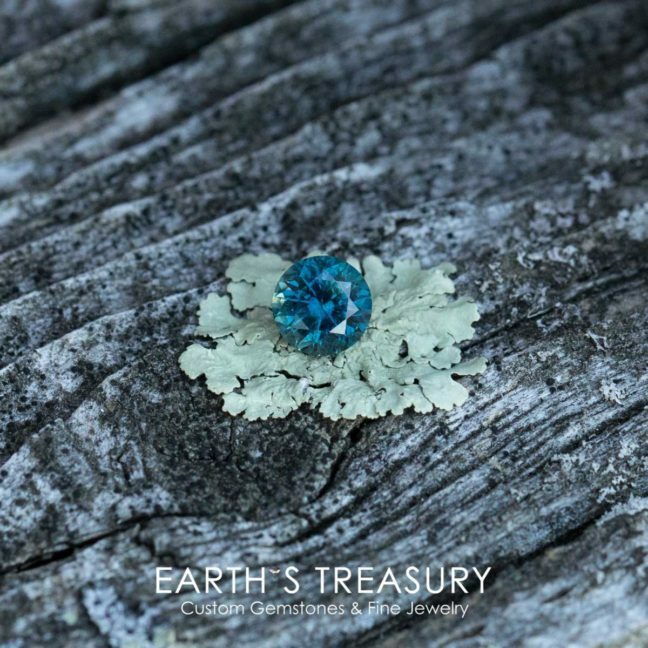 This lovely unheated Montana sapphire is a beautiful teal blue color. It has a some minor inclusions visible in the image, but they are not visible without a 10x loupe and in the hand its a beautiful and bright gemstone. 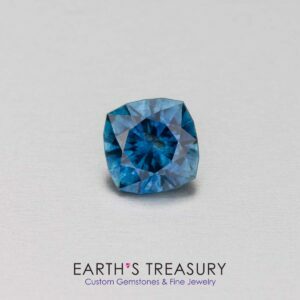 I have priced it accordingly, making it a great value for the size and color. 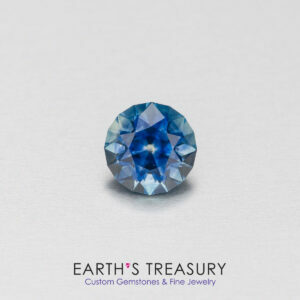 This sapphire is faceted in my modified version of the diamond round brilliant cut, optimized for sapphire and cut to “hearts and arrows” level of precision; the result is a glittering beauty of a gemstone. 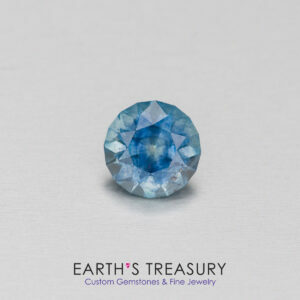 The gem weighs 0.81 carats and measures 5.5 x 3.6 mm. 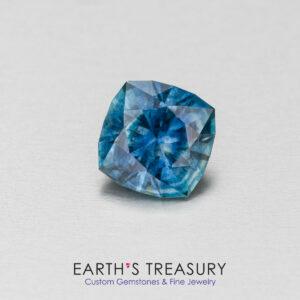 It would make an amazing center stone for a unique and one-of-a-kind engagement ring.